This morning as I was kneeling on my bathroom floor, scrubbing the corners of the toilet, (I know - stop the glamor talk, will ya?) the expression, You've made your bed, now lie in it, came to me. The Cultural on-line dictionary says that it is commonly used as a response to people who have been complaining about problems they have brought on themselves. I scrubbed harder. Am I complaining? Okay yes, maybe I am. I don't mind most housework - but bathroom duty I find deplorable. So that's when I fantasize about having a maid. Will I know that I've made it when . . . I can afford to have someone else clean my bathroom? I shook my head. No, that makes success be all about material things - numbers, advances, bookings . . . And we all know what a trap it is for our barometer of success to be material things. Oftentimes I need to write myself into right thinking . . . so here we go. We all make our "beds" as we make our choices in life, right? We make thousands of choices a day (at least us writers do - all of those WORDS!) Some we take responsibility for, some we don't. I can get all lofty and talk about how writing has chosen me, and it has, but it's up to me whether I heed that call or not. 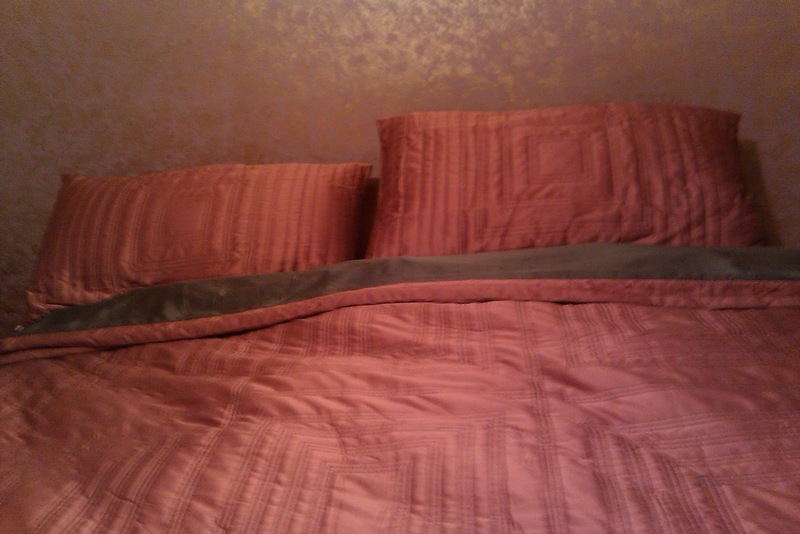 I have a beautiful bed, and I LOVE lying in it, cuddling my loved ones in it. I love it even when I have insomnia! I may worry about money and security, but who doesn't? I LOVE being a writer. And if I have to clean my own bathroom, so be it. Everybody else has to! Especially those in the book business, who are definitely not in it for the steady paycheck! I'd love to hear what chore sends you all into paroxysms of complaint! I spent most of the day scrubbing the ol' homestead--I had to catch up on edits last week and things fell WAY behind. Also, it had rained and I had a legion of little boys tracking in mud all week as well. So I found it funny to see your post...and know that we were all synced up today. I still want a maid. Also, a manny. There's fortitude in numbers! Makes me smile, thinking of a split screen of us on opposite coasts, knee deep in elbow grease! Snow shoveling is taking over my life. What fresh hell is this? It certainly does make the bed more and more inviting. Thanks for this post, Léna -- made me smile. I love how your post made housework into a sign of success. Ah, vacuuming. One of my favorites. But 7 hours would make me want to stab my eyes out. It's lovely when you live with someone who does the chores you hate! I'm lucky with my man - he does ALL the laundry. And most of the cooking these days! Wow! This is just what I needed. I'm supposed to be doing homework right now and guess what I'm doing. I've been fiddling around with my very close friend, Internet. Anyway, I'm glad that I found this. Thank you for motivating me to finish my homework now so I could crash on my lovely bed - it's calling my name. D-Girl - you have ended my last night of January with a smile. Happy studying and sleeping! Night, night! Cleaning out the kitty litter box. UGH! I can't wait until we live somewhere safer (right now we're on a busy road) and I can let the cats roam free outside! Ugh, yes! I forgot about that one! I started getting out of that one when I was pregnant, and never had to do it again. Another chore I have to thank my husband for doing! (Maybe I should think about that when I'm scrubbing toilets). it isn't that the craftsmen lives are lamentable. yet rather the exceptional feelings resulting from unprecedented circumstances and extreme torment out of misery causes them to be extraordinary specialists. I am likewise a specialized author and offering can someone do write my uk essay. exposition administration at shabby. misfortunes challenges any preconceived thoughts of life, compelling the psyche to think past acknowledged standards. At the point when the brain is broken, when the sentiments in your spirit are blended so profound... it reclassifies your vision and recognition... the brain increases alternate points of view when it is presented to great circumstances..